Year 2012. Month, either January or February. 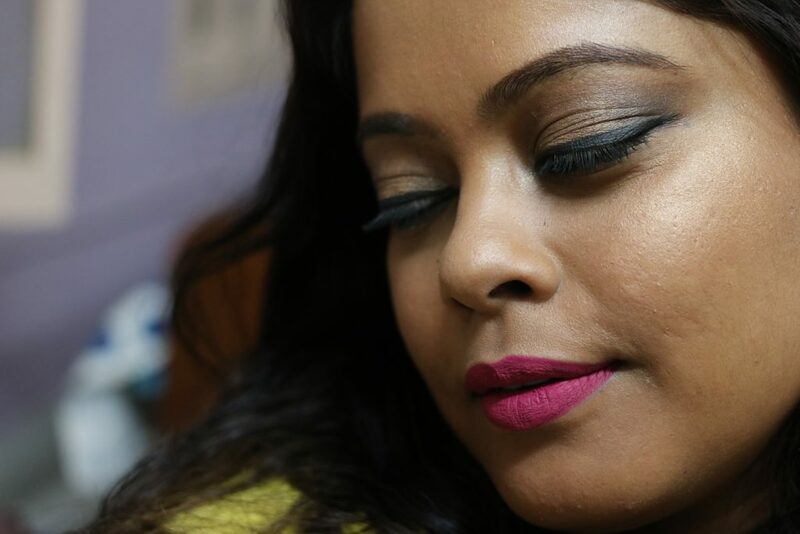 On a net surfing spree afternoon, I stumbled upon a beauty blog called Wise She run by Anamika Sureka Malik. I was completely new to the world of beauty blogging then and Wise She was the first beauty blog that I actually started to follow. Later that year after I started Pout Pretty, I met Ana in person in Mumbai and she was a sweetheart. It makes me really happy to know that Ana is coming out with her own line of oval makeup brushes and I’ve been trying few of the brushes that she sent over. Read on to know more. 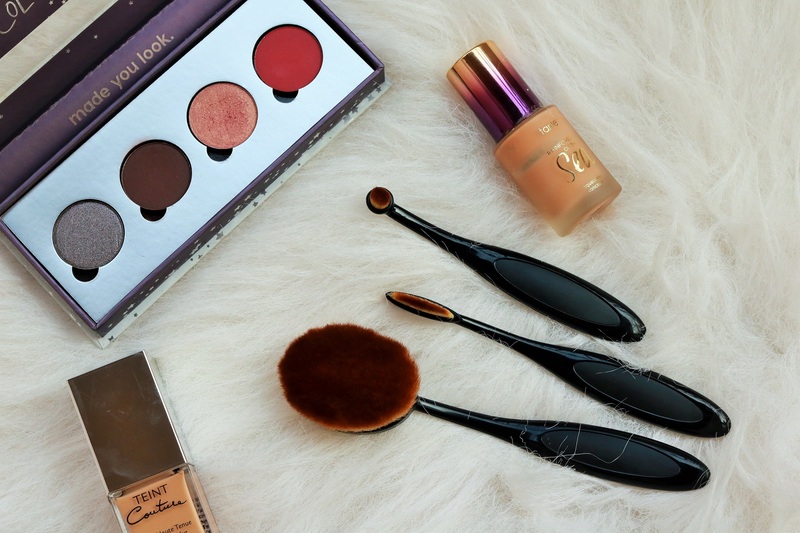 Oval makeup brushes are the rage right now. I like them more than the conventional makeup brushes because with these, blending is so much easier. Ana sent me three brushes of different sizes to try out. I use the large and medium size ones for face makeup and the small one for the eyes. She is yet to fix the prices of these so I can’t share details yet. I will update the post once I get the information. 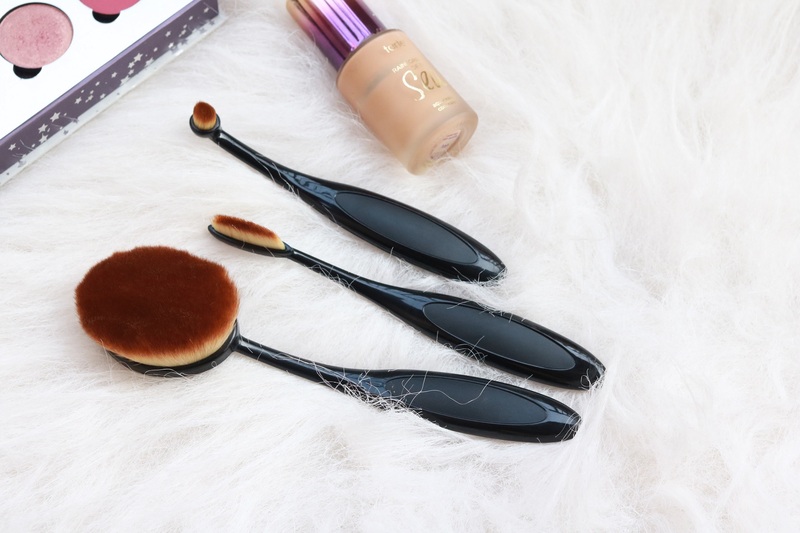 When buying an oval brush, two factors are really important. One is the density of the bristles and the other is the design of the brush. Dense bristles ensure that the foundation, concealer, powder, eye shadow etc stay on top instead of settling at the base of the brush. And the rounded design ensures better coverage, blending and control while applying products. The Wise She brushes score on both fronts. All the brushes are really soft and dense. The brushes have flexible handles but they are not frail and give a firm grip. I have also washed the brushes once before using and after and they did not shed or lose shape. There is no right way when it comes to using the brushes. The large one I use to apply and blend foundation and powder. The medium sized one I use to apply concealer, highlighter, contour powder and also to fill in my brows. The small brush I use to blend eye shadow and on areas that need extra precision. 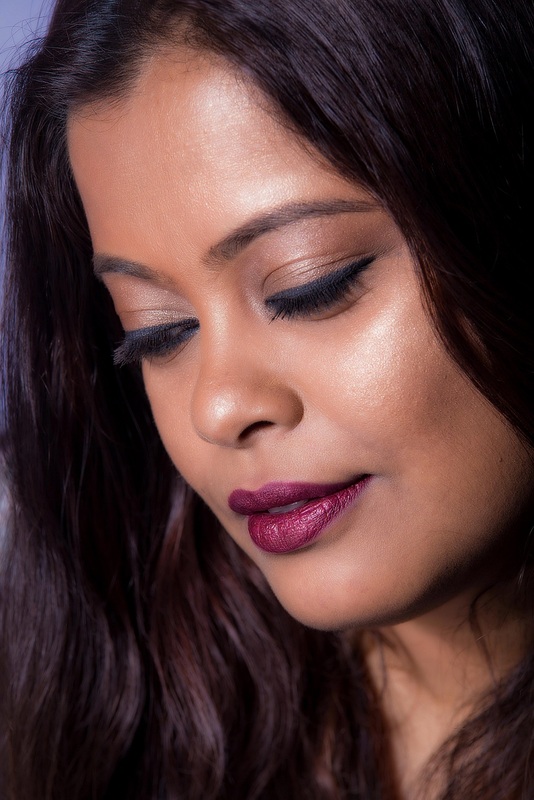 To apply foundation and powder, just add the product to the brush and apply with a single sweep, gently massaging the product into your skin. Don’t put too much pressure while applying. That will give a flawless finish. I found it a bit difficult to use the small brush on the eyes when I first started off because I am so used to my fluffy blending brush. It definitely takes a bit of practice but the end result is a truly seamless look. In the image below, I’ve used the brushes to create this makeup look. Congrats Ana on your new business venture. 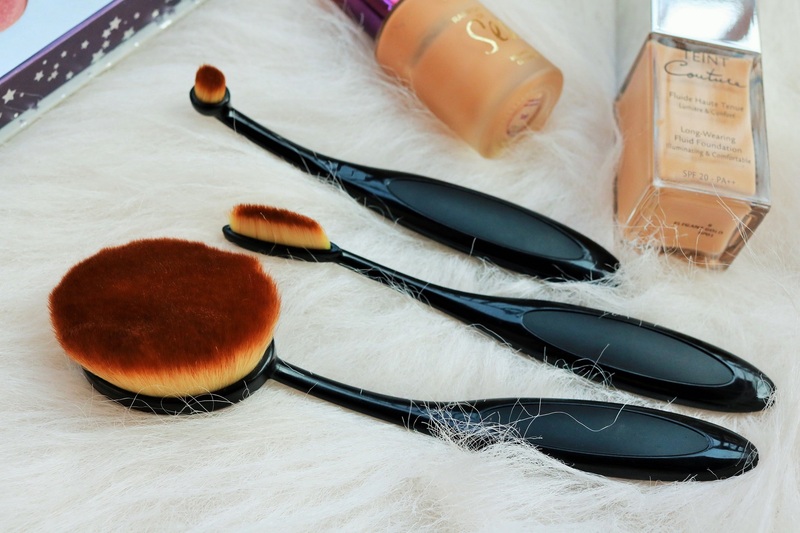 These brushes will definitely be a worthy addition to anyone’s makeup kit. I still remember meeting you in 2012 and you had that rare comforting friendly warmth which i still remember..